« Types of Telescopes and Their Advantages and Disadvantages. Astronomy, or star-gazing as some like to call it, like all hobbies has its own jargon. Whilst you practice this popular night time hobby, you are bound to come across terms and phrases that you are unfamiliar with. It may be confusing and/or frustrating for you continually stumbling upon terminology you don’t understand. 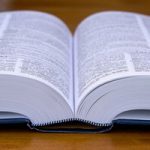 In order for you to enjoy your hobby and get the most out of it, this handy glossary is sure to help get you out of trouble the next time you discover a word you’ve never seen before. Aberration: A defect or distortion visible in the image produced by a telescope. Alt-Azimuth: A type of tripod mount for a telescope that is very simple and common. The telescope sits in a mounting bracket that allows it to be moved up and down, from side to side and swivel round and round. Altitude: The up and down directions of movement or ‘y axis’ when referring to alt-azimuth mounts. Aperture: The size of the main lens or mirror in a telescope. The bigger the aperture, the more light is gathered. Astronomical Horizon: A line of reference that extends horizontally from the eyes of a telescope observer when they are looking straight ahead. Astrophotography: Taking photographs of the sky, usually by attaching a camera to a telescope. Averted Vision: By not looking directly at an object, you are using the more sensitive edges of the eye. This causes faint objects to appear brighter. Azimuth: The left and right movements or ‘x axis’ when referring to alt-azimuth mounts. Barlow Lens: An ‘extension’ lens between the eyepiece and telescope that increases the eyepiece’s magnification, usually by 1.5, 2, or 3 times. Barrel Distortion: An optical effect or aberration where the center of the image appears to bulge outwards. The sides of a square shape would bulge out, giving it a barrel-shaped appearance for example. Celestial Equator: The imaginary line half way between the ‘celestial poles’. It correlates with the Earth’s geographical equator. Chromatic Aberration: A distortion seen in refracting telescopes due to the inability of lenses to bring all colors to a single point of focus. As a result the edges of an object or of high contrast areas may show a border or ‘fringe’ of bright contrasting color. To minimize this effect, more sophisticated (and expensive) multi-element lenses are sometimes used. Coating: A mineral applied to a lens or mirror to enhance its light transmission, in the case of a lens, or its reflective capability in the case of a mirror. One or more layers may be applied, with multiple layers having a greater effect. Also referred to as ‘Multi-coating’, ‘Fully Coated’, ‘Fully multi-coated’ and ‘Low Reflection Coating’. The terms are sometimes used rather loosely for marketing purposes. Collimation: Aligning the optics of a telescope that have slipped out of alignment for to improve their optimal performance. Optics may become misaligned due to knocks and bumps, or expanding or contracting metal telescope housings for example. Corona: The plasma surrounding the sun, creating an atmosphere of sorts that extends for millions of kilometers into space. It is visible during a total solar eclipse. Declination: One of the two axes of movement of an equatorial mount. Declination represents the latitude of the sky. It is measured in degrees either north or south of the ‘celestial equator’, with positive values applied to points to the north and negative to the south. Diagonal: Refers to a mirror or prism in a telescope used to bend the light by up to 90 degrees, usually to the side, for ease of viewing. Dobsonian (Mount): A simple and inexpensive type of alt-azimuth mount for some telescopes. Sometimes referred to as “sidewalk telescopes”. Ecliptic Plane: The plane representing the orbit of the Earth around the sun. It is used as the main reference when describing the position of objects in the sky. Equatorial Mount: A sophisticated type of mount in which one axis remains pointing to either the north or south celestial pole while the other is free to move around to locate objects in the sky. See declination and right ascension. Eyepiece: A small lens mounted in a small tube that you look into to view objects with a telescope, which magnifies the image formed by the objective lens or mirror. Exit Pupil: The size of the beam of light that exits a telescope. Ideally it should match the size viewer’s pupil. If it is smaller, it will cause vignetting. If it is too big, then the excess light will not enter the eye and effectively be wasted. Eye Relief: The distance from the eyepiece to the iris, in your eye, where you are able to see the entire image produced by the telescope. This should be taken into consideration if you wear eyeglasses. If you look into the telescope outside the eye relief distance, you will not see the entire image (field of view). F/ratio: Also known as focal ratio or f-number. It refers to the relationship between the size of the lens or mirror and the length of the telescope. To determine the f/ratio, divide the focal length by the diameter of the lens or mirror. A low f/ratio generally means a brighter image with less aberrations. Field of View: The size of the area of sky that is visible through a telescope. Focal Length: The distance from the lens or mirror to the point where it focuses the image. This determines the actual length of a telescope and the magnification power of an eyepiece (focal length of telescope / focal length of eyepiece). Focuser: The part of a telescope where you insert the eyepiece. It is movable and therefore allows you to move the eyepiece back and forth to achieve focus. Filter: A semi-transparent device used to enhance the image seen with a telescope. They can reduce the brightness of large objects, minimize the effect of light pollution or block certain colors to reveal more detail. Finder or Finderscope: A small, low powered, secondary telescope usually attached to a telescope and used to easily locate objects in the sky before looking at them through the telescope. Ghost Image: An aberration where a double or secondary, dimmer image is also visible in a telescope. Image Shift: This may appear as a jump in focus particularly in catadioptric telescopes which move the primary mirror to achieve focus. Also known as ‘mirror shift’. Magnification: The power of a lens. Calculated by dividing the focal length of the telescope by the focal length of the eyepiece. Mount: An apparatus, usually a tripod, that supports a telescope and allows it to be tilted and rotated to various points in the sky. North Celestial Pole: the area of sky directly above the earth’s geographical north pole. Objective: The main lens or mirror in a telescope. Pincushion Distortion: An optical effect or aberration where the center of the image appears to curve inwards. The sides of a square shape would curve in, giving it a pin-cushion shaped appearance for example. Polar Alignment: The pointing of the right ascension, in an equatorial mount, to the celestial poles. Primary Mirror: The large or main mirror in a reflector telescope. Reflector / Reflecting Telescope: A type of telescope which uses a curved mirror instead of a lens to focus the incoming light into the eyepiece. Refractor / Refracting Telescope: A type of telescope which uses a large main lens to focus the incoming light into the eyepiece. Resolving Power: Refers to the resolution of a telescope or it’s ability to show detail. This can be tested by the ability of a telescope to clearly differentiate between two close objects for example. Right Ascension: One of the two axes of movement of an equatorial mount. This axis must remain pointing at either the north or south celestial pole. Right Ascension represents the longitude of the sky. It is measured in hours, minutes and seconds and and measured from a ‘zero point’ known as the ‘First point of Aries’ which is where the sun crosses the ‘celestial equator’ during the March Equinox. Schmidt–Cassegrain: A method for arranging the optics in a catadioptric telescope. This makes it an easy and affordable telescope to manufacture while combining the benefits of both reflecting and refracting telescopes. Secondary Mirror: A mirror, usually smaller than the primary mirror, used in reflecting telescopes to direct the image into the eyepiece. Seeing: Describes the condition of the atmosphere, whether it is turbulent or steady, and how suitable it is for star gazing. Seeing is represented by a scale of 1 – 10, with 1 being bad, and 10 being excellent. Turbulent conditions can lead to blurry images as light is distorted by moving air particles or dust particles. Setting Circles: Calibrated disk shaped controls on an equatorial telescope used to help position it on an object in the sky. They are marked with hours, minutes, seconds for the right ascension axis and degrees, minutes, seconds for the declination axis. South Celestial Pole: The area of sky directly below the earth’s geographical south poles. Spherical Aberration: A form of defect where light reflecting from the edge of a mirror does not meet at the same point as light from the center. All light must be focused at the same point therefore parabolic mirrors are used. Star Test: A method of testing the optics of a telescope by pointing it at a bright celestial object and noting any aberrations present while focusing and de-focusing. Telextender: Another name given to a Barlow lens. Tracking: Using a motorized mount to continuously follow an object with a telescope, as it moves across the sky. Tripod: A stand with three legs used for mounting and stabilizing a telescope. Vignetting: The effect of darkened edges of an image when lenses of incompatible sizes for example are used in a telescope. Zenith: A direction which is directly above a telescope user’s head. This entry was posted on December 14, 2011, 12:09 pm and is filed under Glossary. You can follow any responses to this entry through RSS 2.0. Both comments and pings are currently closed.